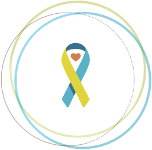 The Down Syndrome Affiliates in Action will host their 11th annual Leadership Conference from February 24th through February 26th, in Cincinnati, Ohio. 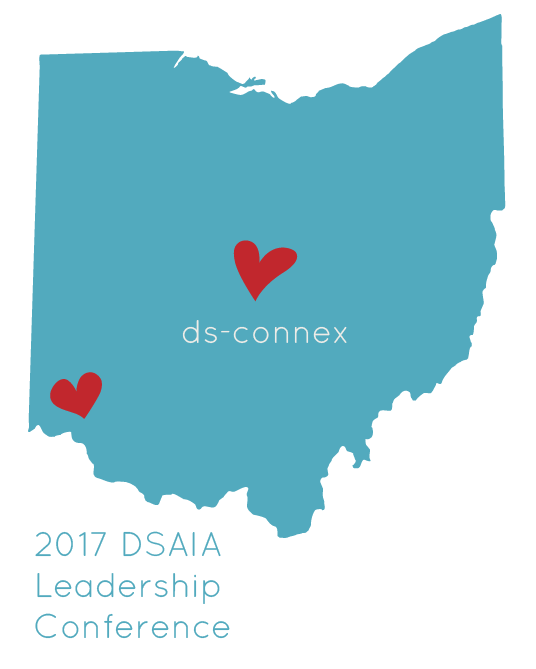 Once again, ds-connex is proud to support the DSAIA Leadership Conference as a Platinum sponsor. With the event being held so close to our office in Columbus, we look forward to the opportunity to speak with many of our Stride partners in person. Because it will be my first trip to the conference, I was pleased to have an opportunity to speak with DSAIA Executive Director, Deanna Tharpe, to learn more about the event. Attending the conference and networking with other Down syndrome organizations is a benefit to all the leaders in our community, regardless of the size of your organization. Being able to learn from peers from across the country provides invaluable benefits and guidance in expanding and/or strengthening your organization. While the non-profit industry has great resources and conferences, Deanna shared that the annual Leadership Conference is “more than that”. The connections developed at the event are priceless, as there is a support system built in with leaders. Non-profit best practices are shared, but they also provide the latest information on new programming and research updates. When participants leave the conference, “they have connected with their colleagues in a way they can’t do online,” and they find that “they are not alone in issues” their organizations may be experiencing. It is anticipated that more than 60 organizations will be represented at the conference, and their leaders will have access to programming which Deanna says improves every year. She is especially excited about this year’s keynote speakers, including Vu Le (non-profit executive director and blogger), who brings a great message with a sense of humor. Each year, a committee reviews the post-conference evaluations to determine which topics will be highlighted at the next conference, with the goal of bringing in new speakers and content. Some familiar topics will be covered, such as fundraising and medical outreach, but new information is shared as it is available each year. Deanna shared that the wonderful networking opportunities and great programming at the conference truly make for fun times for the attendees. She recalled one year when Bryan Maddex, of the Down Syndrome Association of Greater Charlotte, was brought up to the stage and he started asking attendees for donations for the DSAIA scholarship fund. He has now done this for several years, and this money allows DSAIA to award scholarships to individuals from small groups to attend the conference. This year, they were able to give out six scholarships. Each year the conference is held in a different location, to give people an opportunity to attend without always having to travel so far. Great host organizations are important, as DSAIA counts on their support, and hotel room deals for attendees are also crucial factors. If the hotel cost is prohibitive, then the impact of the conference would not be the same. If an organization is not able to attend the conference this year, their leaders may follow along on social media by searching the event hashtag, #DSAIA2017. They plan to broadcast live throughout the weekend, using Facebook Live and Periscope, and they will be interviewing speakers, vendors, and attendees. If you would like to attend and have not already registered, you still have time to do so by visiting the conference’s registration page. Please note that while they will allow registrations all the way up to the day of the event, the hotel room block rate is only guaranteed until February 2nd at 5pm. If you are in driving distance of the conference, you may wish to take advantage of the one day registration, which is also open until the day of the event. Deanna advises to register as soon as possible, though, so they can make sure to have everything ready ahead of time. After speaking with Deanna and learning more about the conference, I am even more excited to attend this year’s event. If you plan to attend, please be sure to stop by the ds-connex booth to say hello! We look forward to seeing you there.